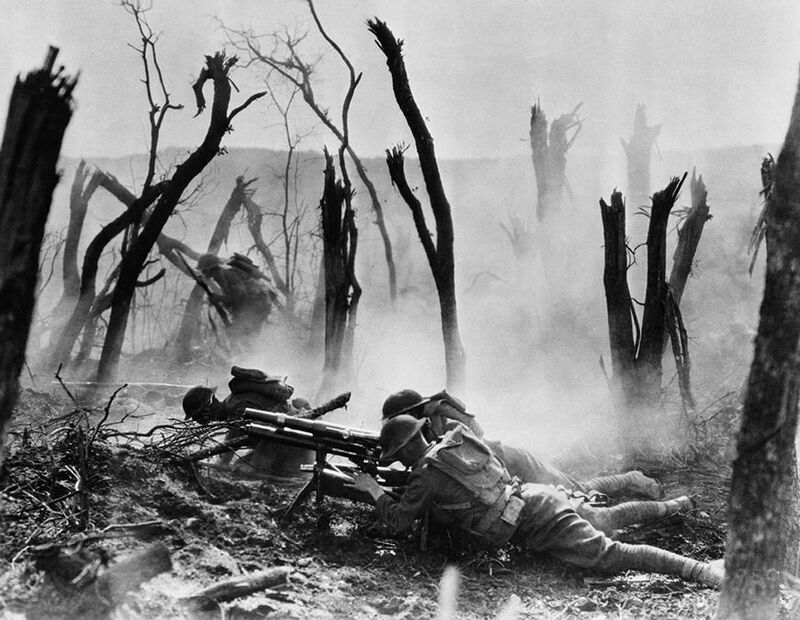 The Great War ended 100 years ago this month. How does it still shape our world now? In 1914, the great powers of Europe were enmeshed in a tangled web of alliances that had formed over decades of colonial empires jockeying for dominance. The assassination of the Austro-Hungarian Archduke Franz Ferdinand by a 19-year-old Bosnian Serb activist started a chain reaction that plunged these nations into a cataclysmic struggle. Austria-Hungary, which had been looking for an opportunity to project strength in the Balkans, declared war on Serbia, accusing its government of orchestrating the attack. Russia then mobilized to defend its ally Serbia. This led Germany, which was allied with Austria-Hungary, to declare war on Russia and its ally France, and to invade France’s neighbor, neutral Belgium. Britain, which had promised to protect Belgian neutrality, then declared war on Germany, which it had been battling for naval supremacy. In the four years that followed, some 9.7 million soldiers and 10 million civilians died in a conflict so ghastly that many survivors returned with “shell shock,” haunted by what they had witnessed. The war’s end set the stage for a new series of global conflicts, some of which are still raging today. In Russia, war fatigue led directly to the collapse of the centuries-old Romanov dynasty, the 1917 Russian Revolution, and the establishment of Communist rule. The polyglot empire of defeated Austria-Hungary was dissolved into a collection of independent states based on ethnic identity, including former Yugoslavia, that are riddled with nationalist and sectarian tensions to this day. The harsh terms imposed by the victors in the Treaty of Versailles helped lead to a surge of nationalism in Germany, and ultimately to the rise of Adolf Hitler and his Nazi Party. Some historians see World War I as the beginning of a continuous struggle for Europe that didn’t really end until the reunification of Germany in 1989. After World War I, the allies stripped Germany of its colonies in Asia and Africa. But instead of being given independence, these long-oppressed lands were absorbed into the victors’ colonial empires. Colonized peoples resented being denied the right to national “self-determination” extended to newly created or liberated European countries like Poland, fueling independence movements in India and several African nations. World War I also redrew the map of the Middle East. The British and the French carved up the remnants of the Ottoman Empire, which had entered the war on Germany’s side. Under the Sykes-Picot agreement, France claimed Lebanon and Syria for its sphere of influence, while Britain took control of what became Iraq and Jordan, as well as the Gulf States. The new borders were arbitrarily drawn, with no regard for long-standing religious and tribal identities. Iraq, for example, was created by lumping three former Ottoman provinces together, dominated respectively by Shias, Sunnis, and Kurds. When ISIS swept across Syria and Iraq, its leader, Abu Bakr al-Baghdadi, declared his intention to erase the old colonial borders. “This blessed advance will not stop until we hit the last nail in the coffin of the Sykes-Picot conspiracy,” he said. What was the impact on the U.S.?